IT'S NEVER TOO EARLY TO START INVESTING! 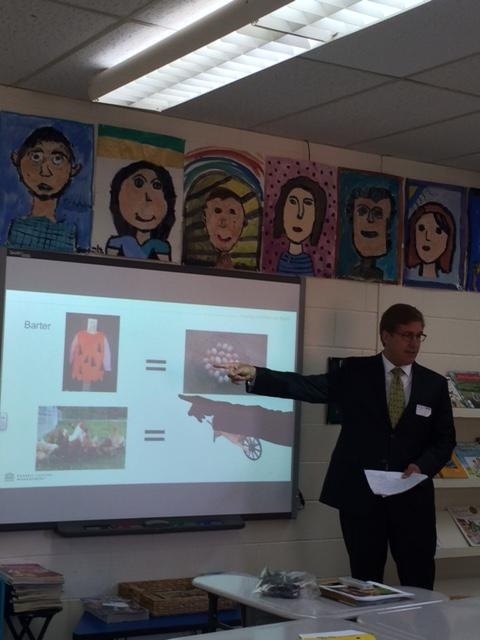 Senior partner Justin Sautter spoke this morning to 4th graders at Sayre School in Lexington on the importance of money – why we have it and how to spend it wisely. In the photo below, Justin explains bartering for goods pre-money.